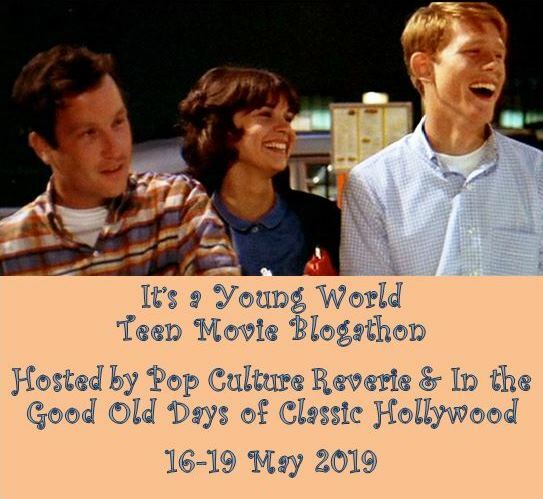 »Blogathons»Announcing the It’s a Young World: Teen Movie Blogathon! 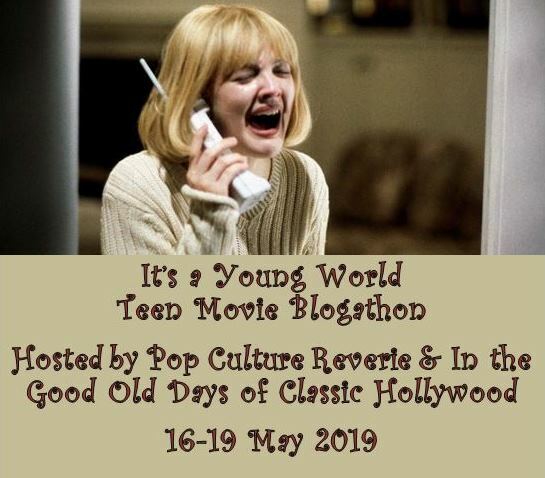 It may be something to do with spring or prom season or impending summer vacation, but the teenagers are getting restless at Pop Culture Reverie and In the Good Old Days of Classic Hollywood. We have to give them their own blogathon before they run wild in the streets. It will be anarchy, I tell you. Anarchy! 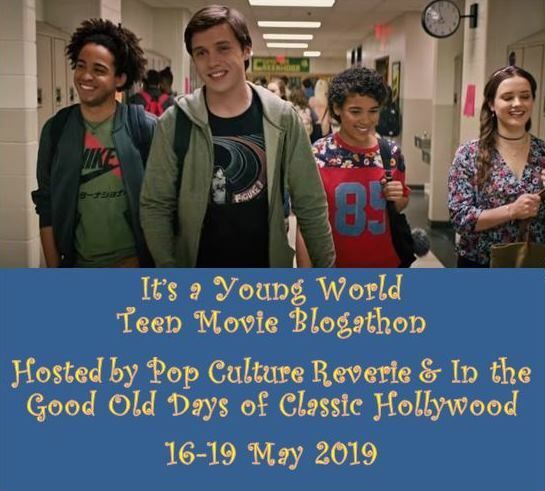 To prevent the teenpocalypse, we’re having a teen movie blogathon 16-19 May 2019. Chosen movies must be about characters ages 12-19. And so, my fans and friends, think It to Animal House as the bookends. 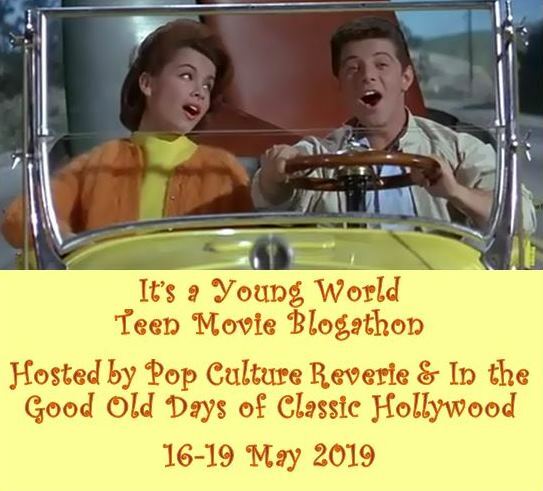 Since there are so many films to choose from and teens are easily bored, we’re staying groovy and only allowing one duplicate per movie. 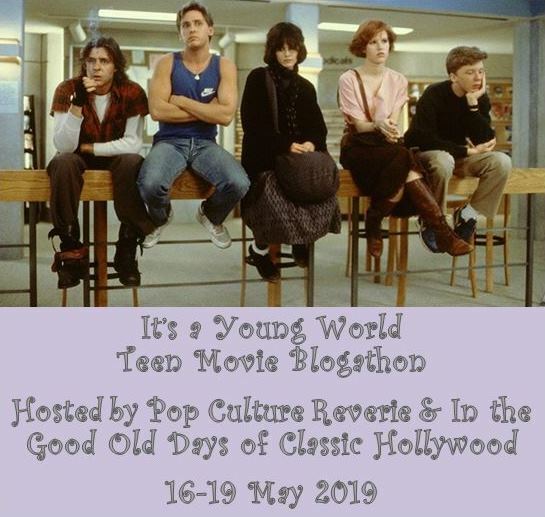 The teens will be studying for finals and planning for prom, so a maximum three entries per blog lest their brains explode. If you don’t have a blog and still want to participate, don’t be a wallflower. Put on your dancing shoes, and let me or Crystal know. We can post the entry on one of our blogs. It’s a young world, so all entries must be fresh. No old posts allowed. For all you rebels without a cause, these are the laws. We have to stick to ‘em, or it will be anarchy. See above. So bring your surfboards, hot rods, poodle skirts, and red windbreakers. We’re going to rock & roll all night and party every day—for four days. I’d love to do 10 Things I Hate About You. Go ahead. I remember seeing that movie in the theaters on Easter Sunday 1999. It’s hard to believe that it’s been 20 years. Thanks! Wow…20 years! Crazy how time flies. Hi! This is a lovely idea. May I please write about Heathers and A Date with Judy? Interesting choices. Looking forward to what you come up with. That’s been on my list to see for a while. Looking forward to hearing what you think. Just updated my blog-a-thon to include this! I would like to do a post about Can’t Hardly Wait. My blog name Overture Books and Film. I really enjoyed that film when I saw it in the theaters. I didn’t expect to. Hi. May I please write about Heathers and A Date For Judy? My blog is Palewriter2. I’ve got you down. I’ve been busy with work, so I didn’t get a chance to update my blog as quickly as I would have liked. But it’s all set now. Could I write about Peppermint Soda (1977)? Thank you! How does a Back to the Future trilogy piece sound? I know Part III only has Marty (Michael j. Fox), but the other two involve several teens. But Part III would need to be covered in the piece, I think. If that idea is unacceptable I could limit it to just the first one. Go for the whole trilogy. No problem. Hi Robin! 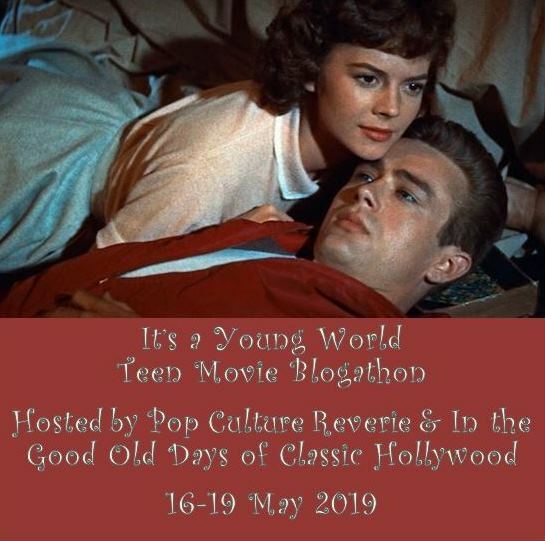 This is a great idea for a blogathon! I’d like to participate by reviewing the film Lean on Pete (2017). I’ve never seen this movie and I haven’t heard a lot of people talk about this film. Despite this, I have heard good things about it. That’s one I’ve never heard of. Looking forward to learning about it. Can I do Eighth Grade for The Stop Button? I would love to do “Say Anything” because *Gasp* I have never seen it and my wife thinks I’m nuts for missing out. Can I write about Two Alone (1934)?